Blouse by PETER HAHN with short sleeves. A summer blouse par excellence made of breathable woven fabric. 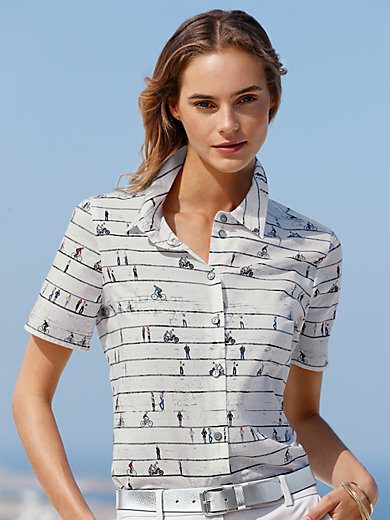 The original "Bicycles and People" pattern makes every blouse unique. Shirt-style blouse with fashionable small collar. 100% cotton. Length approx. 24ins. The blouse is machine washable.